Systemic analgesics act on the whole nervous system, rather than a specific area, to lessen pain. They will not cause you to lose consciousness. These medications often are used during early labor to allow you to rest. The decrease in blood pressure – An epidural can cause your blood pressure to decrease. This, in turn, may slow the baby’s heartbeat. Fever – Some women develop a low-grade fever as a normal reaction to an epidural. A headache – If the covering of the spinal cord is pierced while the tube is being placed and spinal fluid leaks out, you can get a bad headache. This happens rarely. Soreness – After delivery, your back may be sore for a few days. What is a combined spinal-epidural (CSE) block? A rare but major risk is the aspiration of food or liquids from a woman’s stomach into the lungs. Labor usually causes undigested food to stay in the stomach longer than usual. While you are unconscious, the contents of your stomach can come back into the mouth and go into the lungs. This can cause a lung infection (pneumonia) that can be serious. General anesthesia usually requires the placement of a breathing tube into the lungs to help you breathe while you are unconscious. Difficulty placing this tube is another risk. General anesthesia can cause the newborn baby’s breathing rate to decrease. It also can make the baby less alert. 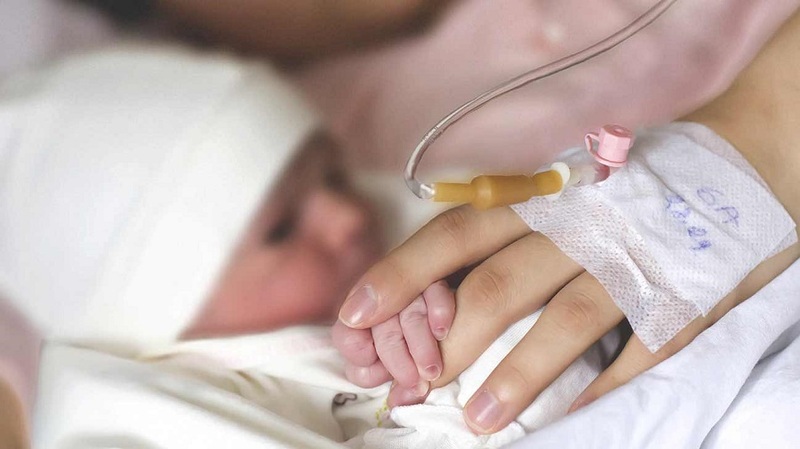 In rare cases, the baby may need help breathing after birth. Anesthetics: Drugs that relieve pain by the loss of sensation.